Delnaaz Irani shares a throwback clip from her show 'YES BOSS' and we wan't a rerun! We are feeling the nostalgia, are you? 90's television shows had their own charm right! Don't you think? Most of the shows like Office-Office, Dekh Bhai Dekh, Hum Paanch, Tu Tu Main Main, Shrimaan Shrimati, Yes Boss to name a few, are evergreen shows. The shows had unique concepts and left everyone laughing on the floor. Recently, actress Delnaaz Irani shared a throwback clip from her popular show Yes Boss, and we are feeling nostalgic. Yes Boss was a sitcom which used to air on SAB TV. The show boasted of talented actors like Aasif Sheikh, Rakesh Bedi, Delnaaz Irani and Kavita Kapoor as the lead cast. In the show, Meera (Kavita Kapoor) and Mohan Srivastava (Rakesh Bedi) are shown a married couple who hide their relationship in office. Their boss Vinod Verma (Aasif Sheikh), leaves no chance to flirt with Meera and this irritates Mohan and he spends most of his time protecting her from the Boss. Delnaaz plays Vinod's wife Kavita, who also tries to stop his unwelcoming advances towards Meera. The show has clean and genuine humour and still continues to be one of the most loved sitcoms. Did this post make you nostalgic? Let us know who was your favourite character from the show in the comment section below. 'Bhabhiji Ghar Par Hain' actress Saumya Tandon blessed with a baby boy! 8 Shows That Were Wayy AHEAD of Their Time!! 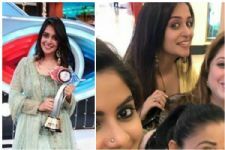 #BB12 winner Dipika Kakar unites with THESE Bigg Boss 6 contestants! 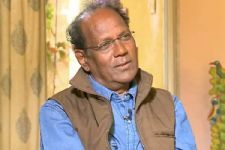 THIS Veteran Actor Was the First Choice to Play Vijendra Saxena's Role in Pati, Patni Aur Talaq! Prayer Meet for Pratyusha Banerjee! Gift a Kiss Drama on Bhabhi Ji Ghar Par Hai?